Montecito Fire Protection District has two (2) front line Type 1 engines, 1 reserve Type 1 engine, and 1 State Office of Emergency Services Type 1 engine. Type 1 fire engines are used primarily for structural firefighting and initial Emergency Medical Service (EMS) response. They are equipped with a variety of firefighting hose lines, nozzles and large diameter supply hose. Type 1 engines carry a wide assortment of tools and equipment including air lift bags, extension and roof ladders, a generator with cords and lights, a ventilation blower, cribbing supplies, a Hurst extrication tool (Jaws of Life) and Class A and B foam. Our front line type 1 engines are both equipped with All Wheel Steer. This allows us to maneuver in and around our district much quicker, easier and safer on narrow winding roads and driveways. With this option, both the front and rear wheels turn to help maneuver the engine safely and efficiently in tight areas. All of our Type 1 engines are equipped with a Compressed Air Foam System (CAFS). This system injects air and foam into the water. With this type of system a fire can be extinguished quicker and with less water, which helps prevent water damage to areas not damaged by fire. Montecito Fire Protection District has one (1) front line Type 3 engine, and one reserve Type 3 engine. Type 3 fire engines are used for off-road wildland firefighting. They are equipped with a variety of firefighting hose lines, tools and supplies. Type 3 engines carry a wide assortment of equipment including driptorches, backpack and floating pumps, and Class A foam. 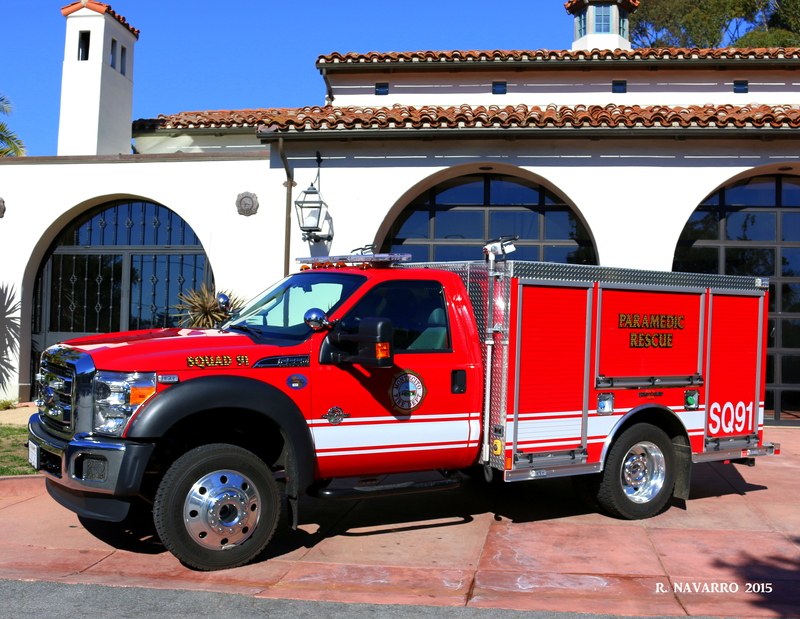 Montecito Fire Protection District has one (1) Type 6 engine. Our Type 6 engine is a small agile engine for quick access - especially to brush and vegetation fires. Its chasis is built on an F450 pickup truck and holds approximately 250 gallons of water with Class A foam capabilities. When staffed, it will hold two firefighters and allow for quick response and attack on small vegetation fires to prevent them from spreading. It is equipped with hand tools and a chainsaw which can be used for fighting fire in brush. Montecito Fire Protection District has one (1) Paramedic Squad. The Paramedic Squad is equipped with specialized equipment for use in rescues and extrication needs. It is also equipped with a large compliment of rope rescue equipment for access to patients who are injured in areas that require personnel to repel over an embankment etc. to treat the patient. 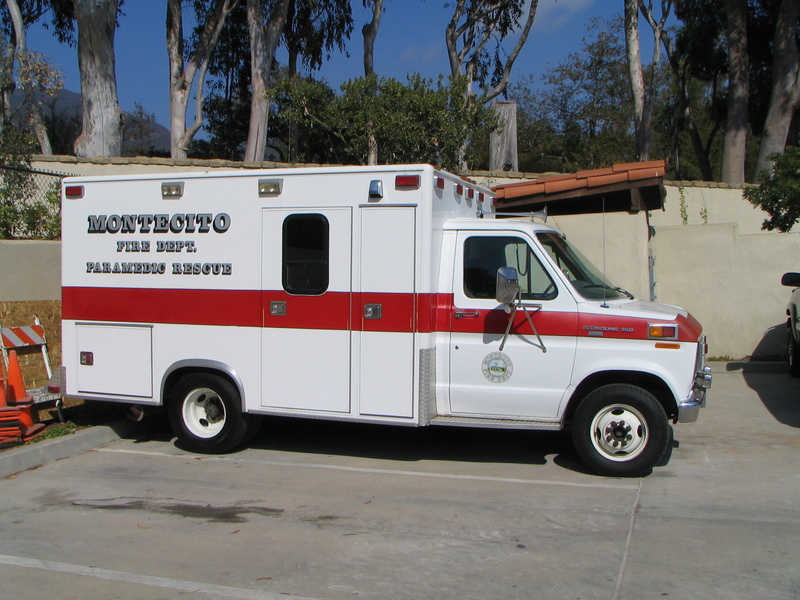 Montecito Fire Protection District has one (1) Transport Ambulance that serves as a reserve Paramedic Squad. 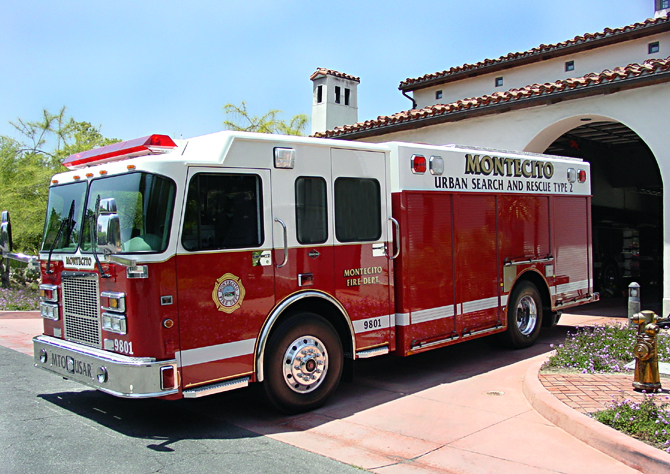 Montecito Fire Protection District does not provide ambulance transport - but can in the event of a catastrophic event in which private ambulance services are overwhelmed. The District's transport ambulance can also be called upon for local mutual aid response when the private ambulance services are overwhelmed in other jurisdictions. 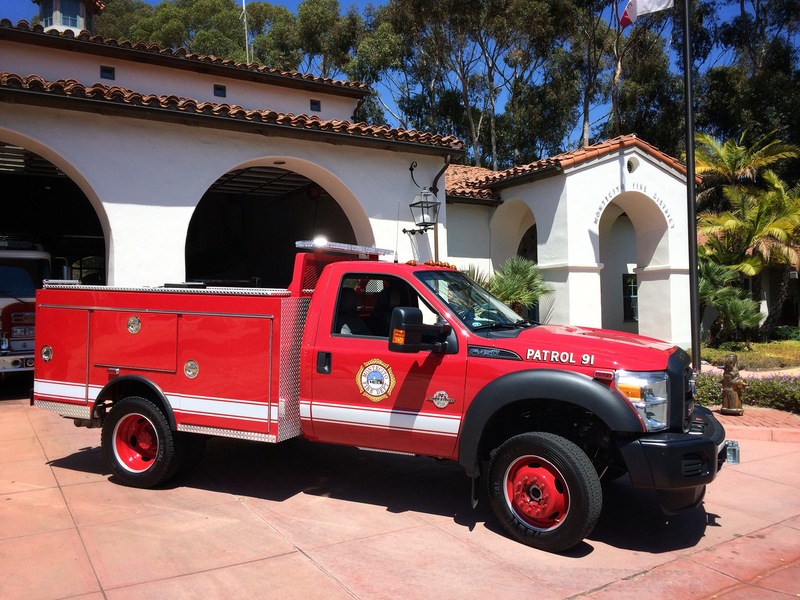 Montecito Fire Protection District has one (1) Urban Search & Rescue (USAR) - Medium Unit. The USAR Unit responds to structural collapses, entrapments, underground or technical rescues. It carries a wide variety of tools and equipment along with shoring and cribbing materials (wood and other items that are used to reinforce walls or secure heavy objects in place) to perform rescues at major incidents. Beyond being a USAR rescue vehicle, the apparatus is also utilized as a light/air unit. A light and air unit provides additional electricity for lighting and power at emergency scenes. It also provides breathing air supply to refill firefighting breathing bottles. USAR is considered a multi-hazard discipline, as it may be needed for a variety of incidents including earthquakes, landslides, storms, tornadoes, floods, terrorist activities, and hazardous materials releases. The USAR unit is part of a master mutual aid system and can be requested to respond anywhere in the state for disasters.